Get international certification as a Whitewater Rescue Technician (WRT)—the standard for river guides, instructors, and paddlers. Build confidence, knowledge, and skills through hands-on practice and simulations. Get international certification as a Whitewater Rescue Technician (WRT)—the standard for river guides, instructors, and paddlers. Build confidence, knowledge, and skills through hands-on practice and simulations. 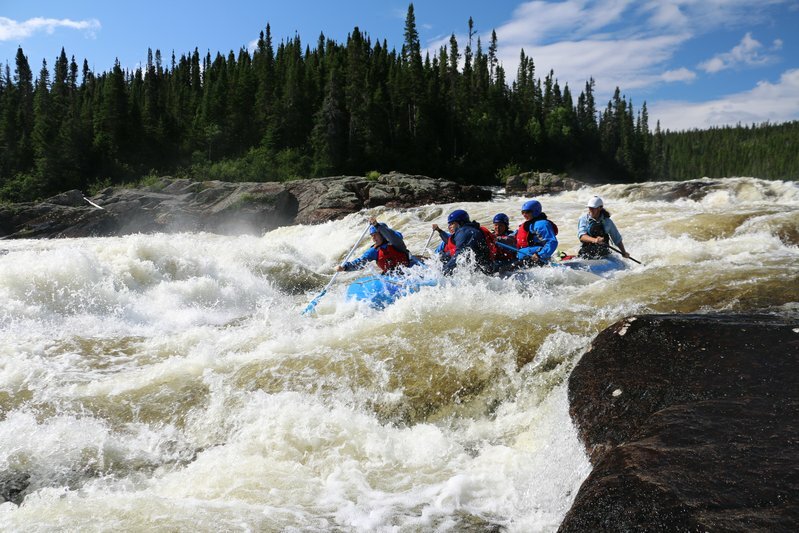 The Whitewater Rescue Technician Level I & II is highly recommended for recreational paddler to have at a minimum, so that they could help if a situation arose. You'll gain tools for rescues, starting in easy rapids then challenging yourself in harder water and more complex situations. Become competent performing effective rescues with limited resources—and making smart decisions when river running. Your certification is valid for 3 years before you need to re-certify. You can choose to do the full course and achieve your Whitewater Rescue Technician Level I, II, & III in 4 days. Alternatively, you can also take the course over two 2-day blocks by doing the Whitewater Rescue (WWR) Levels I & II and then, anytime within the three year certification period, taking the WRT-Bridge Level III. The WRT-Bridge Level III is also used for those who need to re-certify. - Gain experience and confidence through challenging simulations and drills. None at present. Check back soon! 1. Click here to go to the Boreal River website. 2. Choose which level you wish to book onto by clicking the links in the description. Click the Details/Register for the course based in Revelstoke, BC. 3. Fill out the registration form on that page or call Boreal river anytime at +1 (866) 242-9383. Follow the instructions to pay your tuition by credit card, e-mail transfer, or cheque. 4. Receive a confirmation e-mail along with a ‘student information package’ and a course receipt. For cancellations more than 60 days from course start: full refund minus $35 registration fee. For cancellations less than 60 days but more than 2 weeks from course start: 50% refund. For cancellations less than 2 weeks from course start date: no refund.